LIVE THE LIFESTYLE. 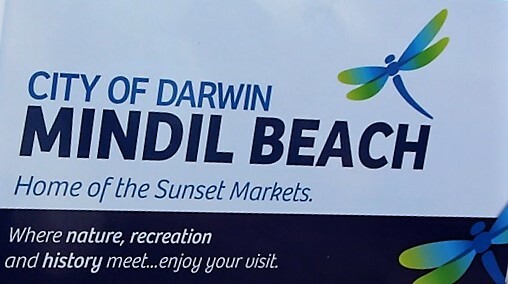 That’s the motto for Darwin’s fabulous Mindil beach markets. Finally I got to go there last night. 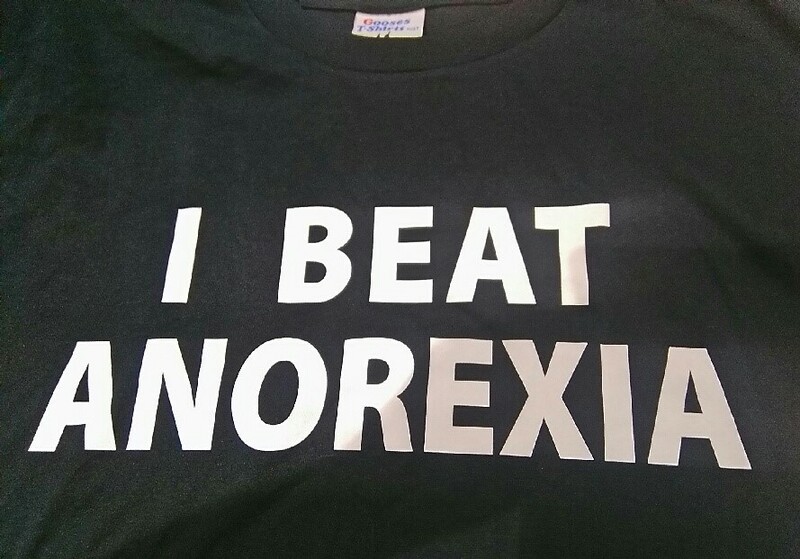 I’d been hearing about them for a long time. Held twice a week on a Thursday and Sunday evening, they are seasonal, being confined to the dry weather between May and Oct each year. 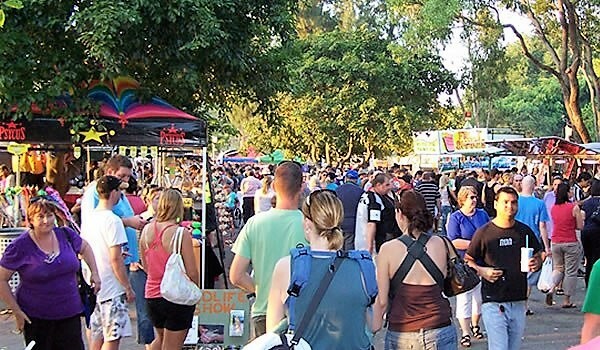 The Mindil Beach Sunset Markets were started in 1987 to bring a taste of Asia’s night markets to Darwin. Originally located in Darwin Mall, they were quickly relocated to the current site due to disgruntled business owners objections. The name Mindil is from the local indigenous Larrakia word ‘min-deel’ meaning sweet nut grass. The beach is a significant cultural site for the Larrakia people who collected coconuts and bush tucker from the shoreline. During WW2 military personnel used the beach for rest and relaxation. The beach has seen many transformations over the years with probably the most significant one being an area of crisis accommodation for those affected by the devastation of Cyclone Tracey in December 1974. I’ll tell you about its impact on Darwin in a later post. The markets are located next to Darwin’s casino, Sky City, which provides up-market beach-side accommodation to visitors and tourists. A handy location from which to visit the 300+ stalls that now form the current bustling market which is committed to preserving the natural environment. Plastic bags are banned and extensive recycling and environmental sustainability measures are in place. The markets have grown in popularity, being the most visited attraction and winning numerous awards for tourism, multiculturalism. It was officially accorded national iconic status by the National Trust in 2000. Marc lives five minutes away by car. Us olds being knee-challenged, Marc acted as chauffeur, dropping us by the entrance before he went to find a park. It was BUSY. One of the big attractions is to watch the sunset. This time of the year they are stunning. 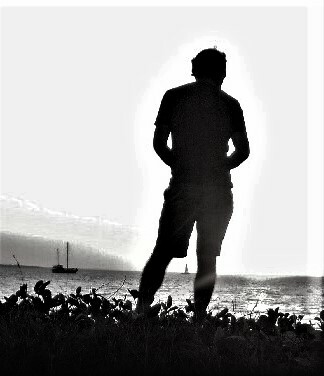 The beach was filled with people standing, sitting, eating, photographing as the orange ball of fire slowly descended into the ocean from a clear blue sky. We too joined the hordes before heading for the stalls. Hundreds, if not thousands of Sun lovers quickly departed the beach to hit the market stalls. We followed. The first stall we headed to was Natural Wonders. 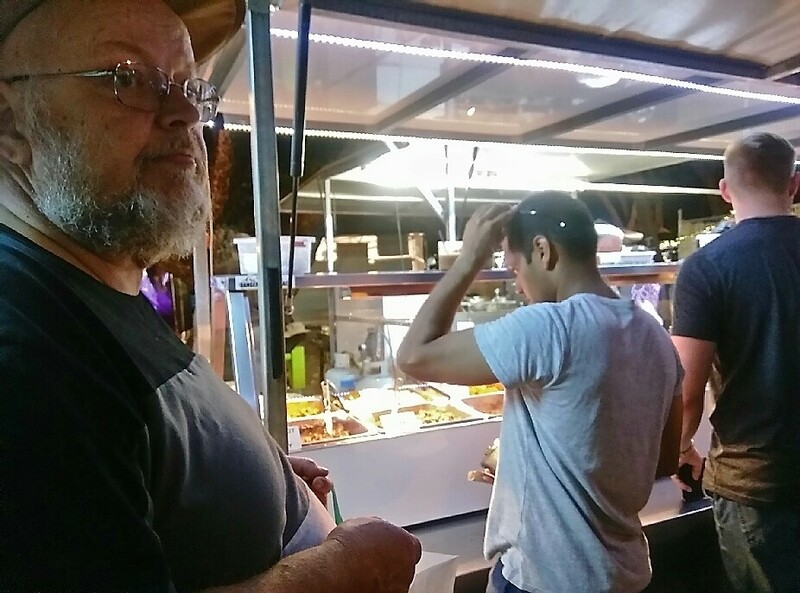 Being a local by now, Marc faultlessly led the way to his cousin’s stall. 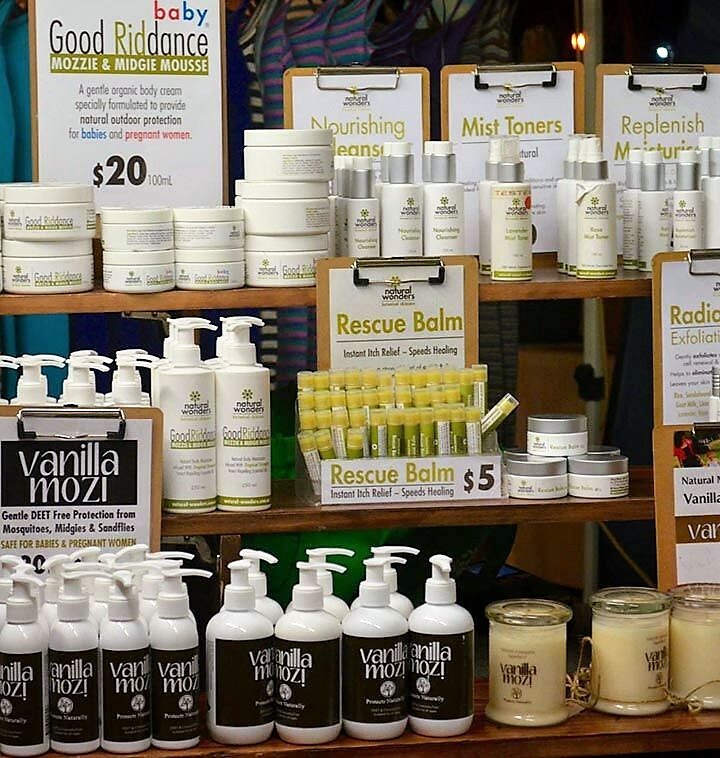 And there she was, with husband in tow, busy spruiking her NT made natural skin care products and accessories. It took a while for Niti and Sean to realise we were standing there watching them handle the crowds milling around the stall. They had no idea we were coming. It was too busy to stay and chat. But it was a delight to see them. There will be time for more leisurely chatting later. We moved on to browse the art and craft stalls. That’s my thing. Marc and The Retired Husband (TRH) tolerate my meanderings, stoppings and startings. They know better than to object. There was much to see. Too much to take in. But we did indulge in a few small things. TRH chose the first logo-ed Tshirt for himself. The other is my choice for him. I bought some Zebra tumble stones. The striking patterns are unique to the Ranford formation in the East Kimberley region crossing the borders of the NT and WA. It is the only known deposit for this unusual rock. Geologists think the unusual pattern of red bands and spots is formed by the rhythmic precipitation of iron oxide rich bands during the alteration of the rock by percolating fluids – that is, fluids migrating through the rock which has been carbon dated 600 – 1200 million years. 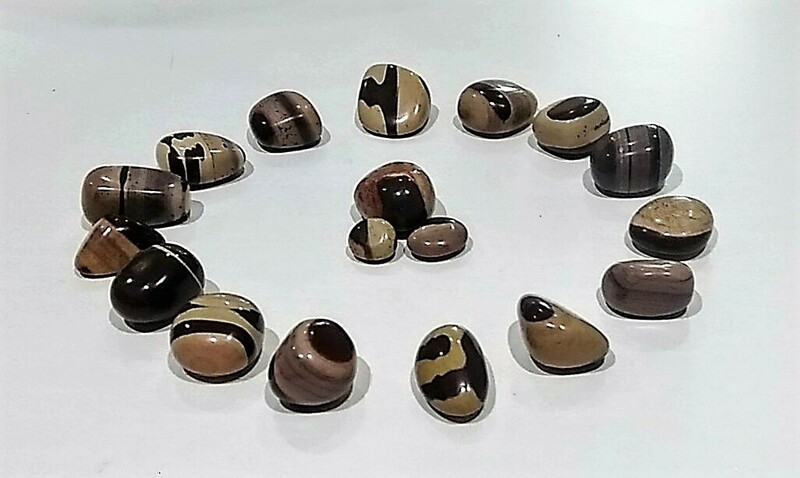 So called zebra stones can be found elsewhere in the world. However, what makes this one unique is its composition. It is siltstone, which is a sedimentary rock, typically formed at the base of a river bed. In this case, the zebra rock is a deposit of the Ord River. Our marketing night was nearly over. The last thing we had left to do was buy some food. Mindil Market food stalls offerings range from Australian to almost anything you care to name. We chose an Indian roti roll. The best way to describe it is that it was the Indian equivalent of a Greek Yiros. Yum. It would have been nice to have a closer look at some of the others but the crowds in the food section were almost gridlocked. By then we were exhausted. And we had yet to hobble our way back to the roadside while Marc went to retrieve Big Red to scoop us up on the way home. TRH and I have a serious case of healthy knee envy. Love the logos, the zebra stones very unusual. The setting sun disappearing in the sea as a ball is impressive and beautiful. I know the feeling of serious healthy knee envy. Just relax and rest ready for the next outing. Shame. They are vibrant – but SO busy!